We make ordering supplies quick, easy, and frustration-free. 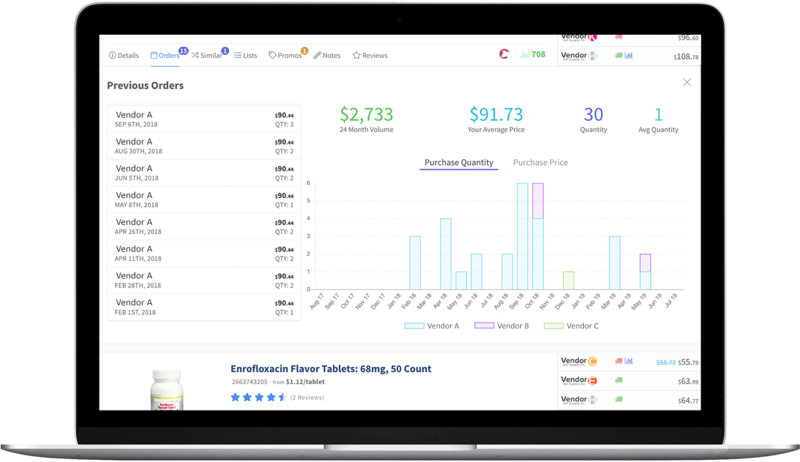 A free ordering tool to shop every supplier at once. 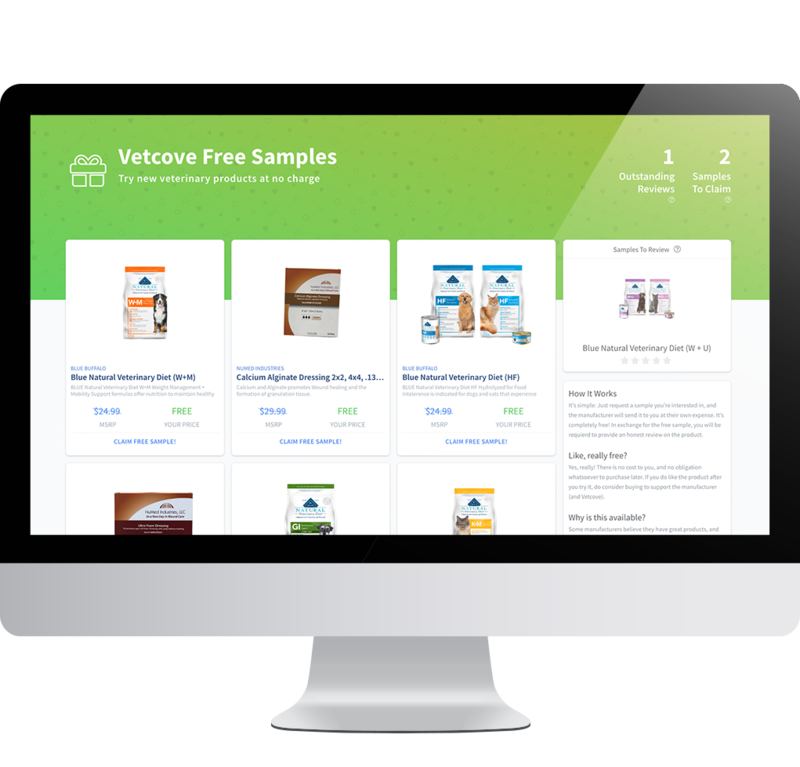 By combining every animal health vendor into one catalog, Vetcove accounts for 99.9% of all products veterinarians use. Search any item and see suppliers’ pricing and stock, detailed insights, rich media, and alternative options to help you decide. All the animal health vendors you know and love are here. See a full list once you create your Vetcove account. You’ll receive your special, rep-negotiated pricing right on Vetcove, just like you’d see on your vendors’ websites. All purchasing groups are fully supported on Vetcove, ensuring you get your special pricing and still qualify for your rebates. 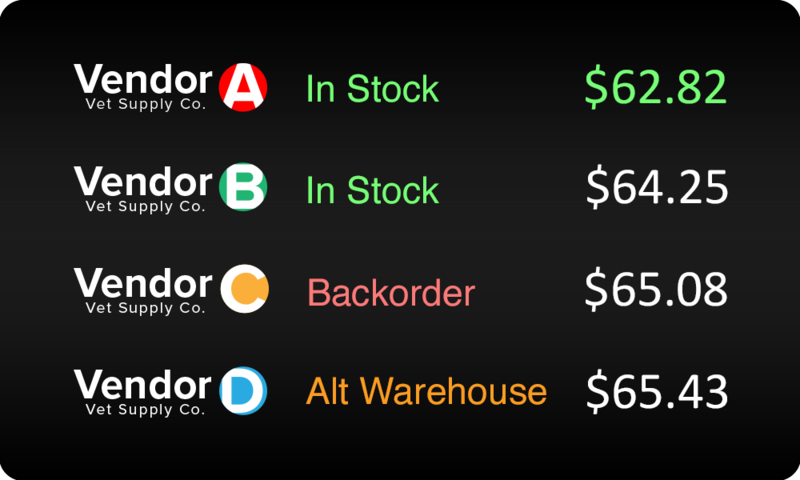 See how many a vendor has left in stock, and if the item will be shipped from your primary, or an alternate warehouse. 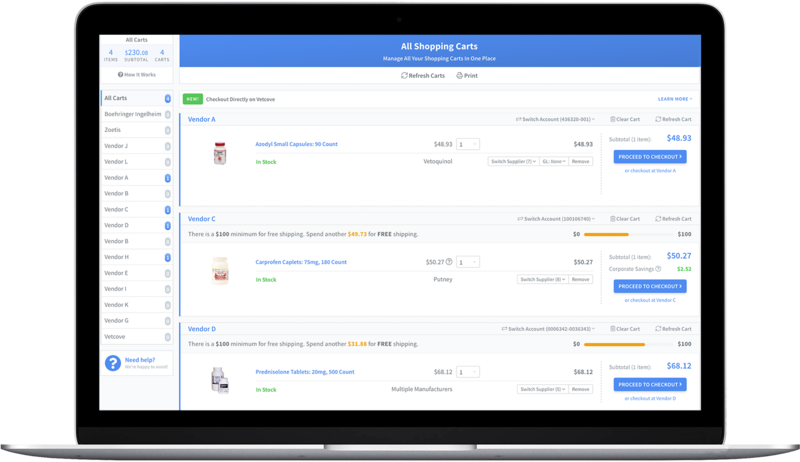 Manage all of your suppliers’ shopping carts at once, from a single page. See all items you’re planning to purchase at once, and view your totals from each vendor easily. Easily move items from one vendor to another to meet order minimums or simplify your order. 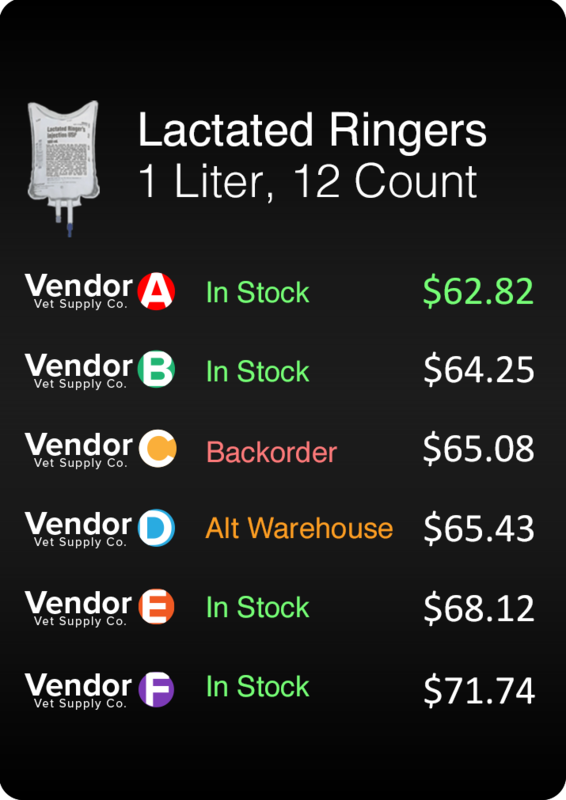 Using Vetcove doesn’t change your special pricing, billing from vendors, shipping times, or rep relationship. 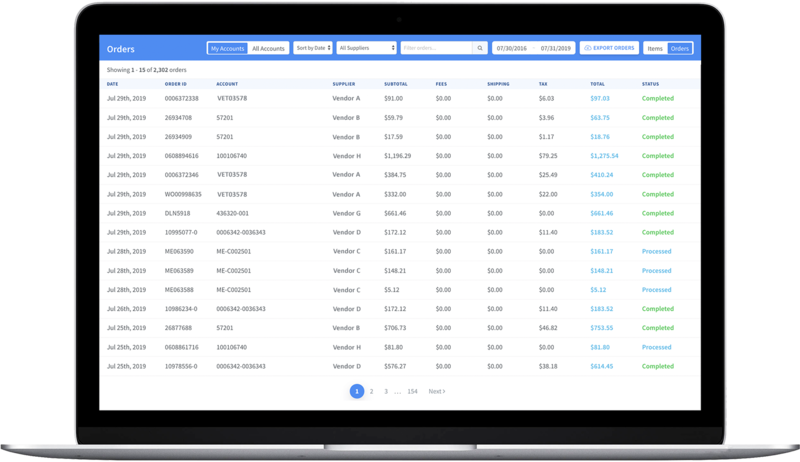 Search all orders you’ve placed, and track all incoming packages, from every vendor at once. View and search a complete purchase history of from all vendors. Quickly find any order you’ve placed, or any item you’ve previously purchased. 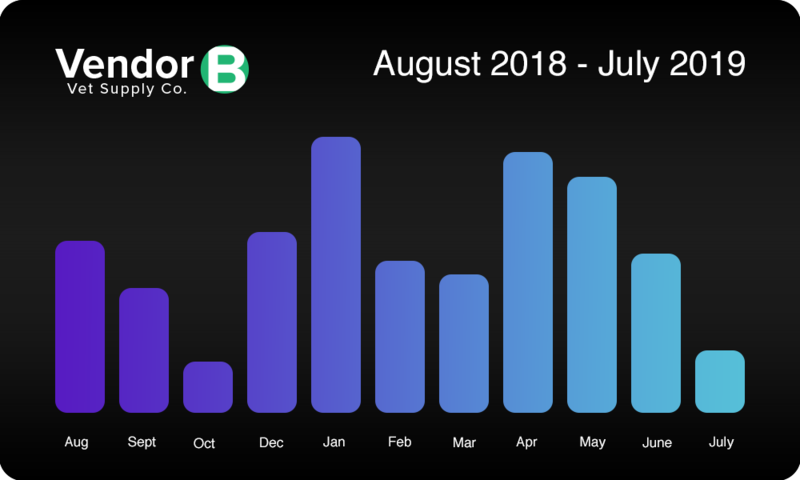 When you view an item in search or from one of your lists, see your complete purchase history for that item, and how pricing has changed since you last ordered. 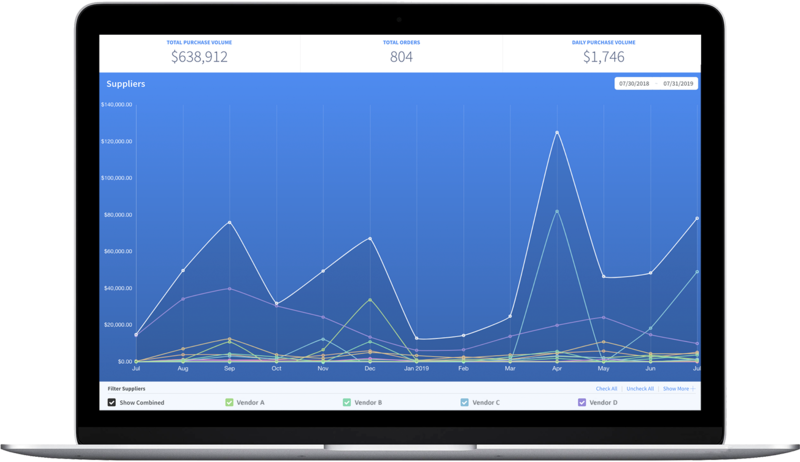 See interactive graphs to truly understand your purchasing, with insights by vendor, manufacturer, and product. Manufacturers ship the product to you at their own expense, and you have zero obligation to buy later. 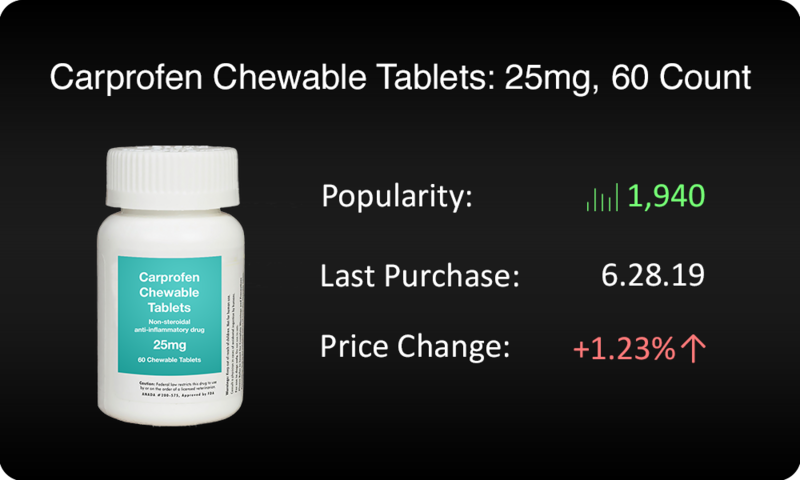 New items are added to the program regularly, so you’ll get to try many great new products. Requesting a sample is simple. Just click the product you’d like to try, and the manufacturer will send it your way! Looking for answers to frequently asked questions? Check out our knowledgebase to get answers fast!